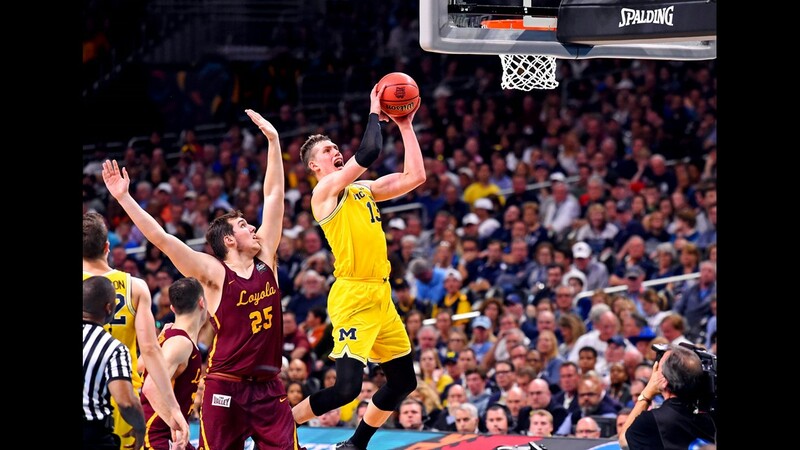 Michigan Wolverines forward Moritz Wagner (13) shoots the ball against Loyola Ramblers center Cameron Krutwig (25) during the first half in the national semifinals of the 2018 NCAA Tournament at The Alamodome in San Antonio, Texas. 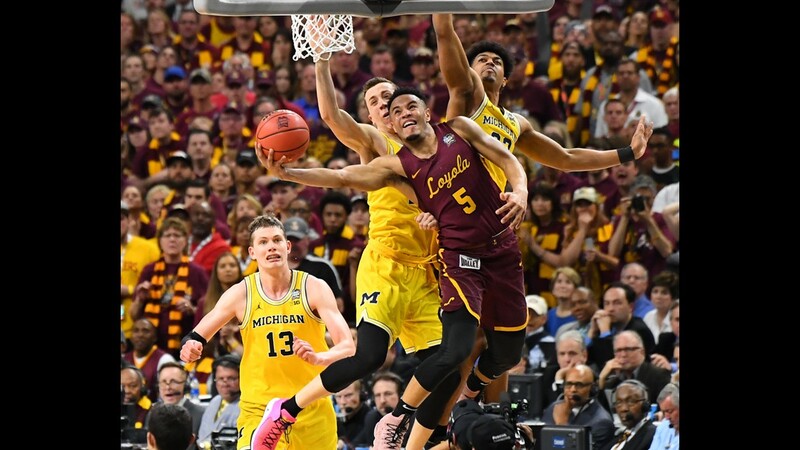 Loyola Ramblers guard Marques Townes (5) lays the ball up past Michigan Wolverines guard Duncan Robinson (22) during the first half in the national semifinals of the 2018 NCAA Tournament at The Alamodome in San Antonio, Texas. 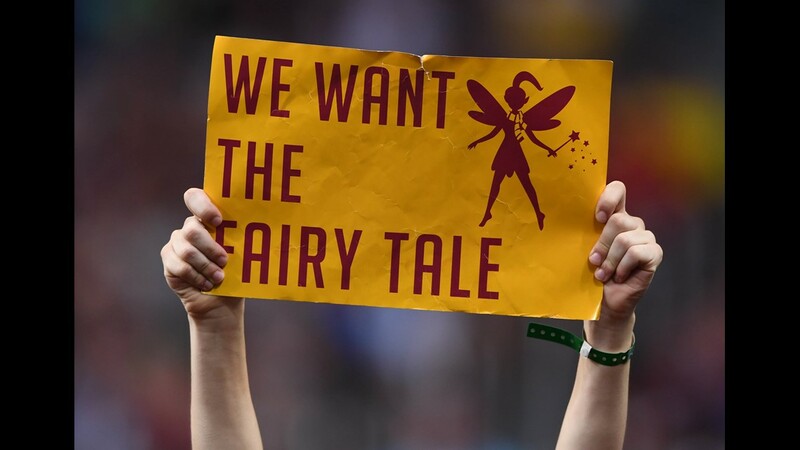 A fan of the Loyola Ramblers holds a sign against the Michigan Wolverines during the first half in the national semifinals of the 2018 NCAA Tournament at The Alamodome in San Antonio, Texas. 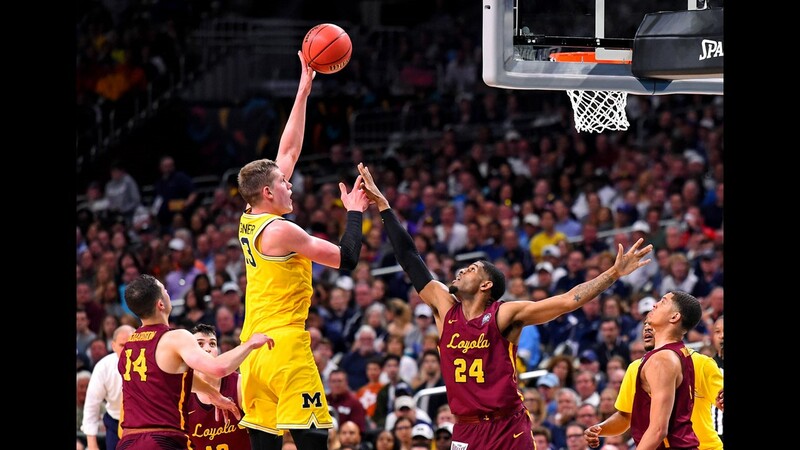 Michigan Wolverines forward Moritz Wagner (13) shoots the ball against Loyola Ramblers forward Aundre Jackson (24) during the first half in the national semifinals of the 2018 NCAA Tournament at The Alamodome in San Antonio, Texas. 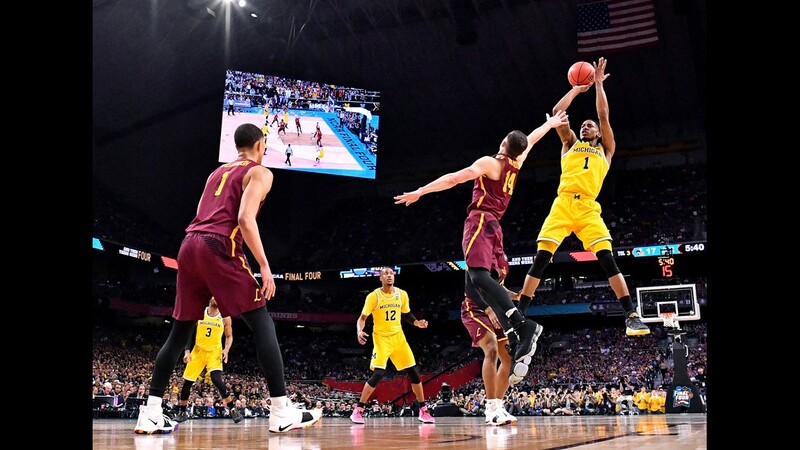 Michigan Wolverines guard Muhammad-Ali Abdur-Rahkman (12) drives to the basket against Loyola Ramblers forward Aundre Jackson (24) during the first half in the national semifinals of the 2018 NCAA Tournament at The Alamodome in San Antonio, Texas. 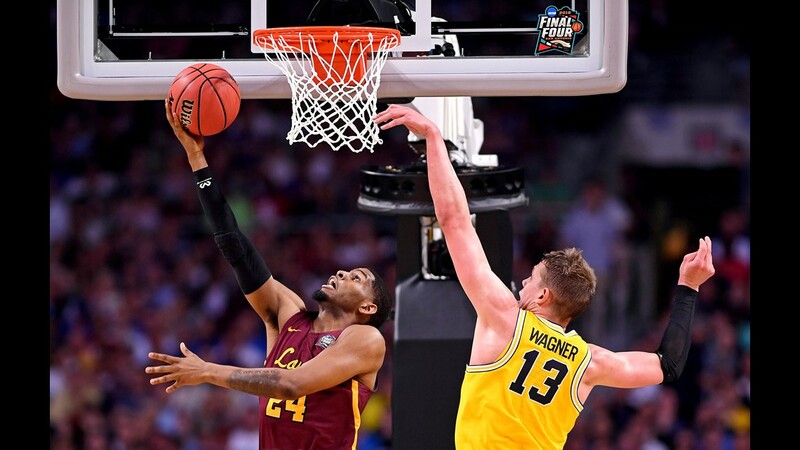 Loyola Ramblers forward Aundre Jackson (24) shoots the ball against Michigan Wolverines forward Moritz Wagner (13) during the first half in the national semifinals of the 2018 NCAA Tournament at The Alamodome in San Antonio, Texas. 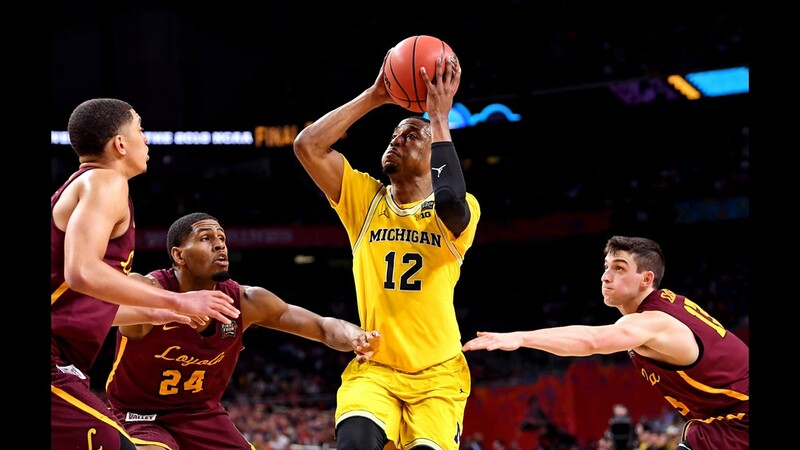 Michigan Wolverines guard Charles Matthews (1) shoots the ball against Loyola Ramblers guard Ben Richardson (14) during the first half in the national semifinals of the 2018 NCAA Tournament at The Alamodome in San Antonio, Texas. 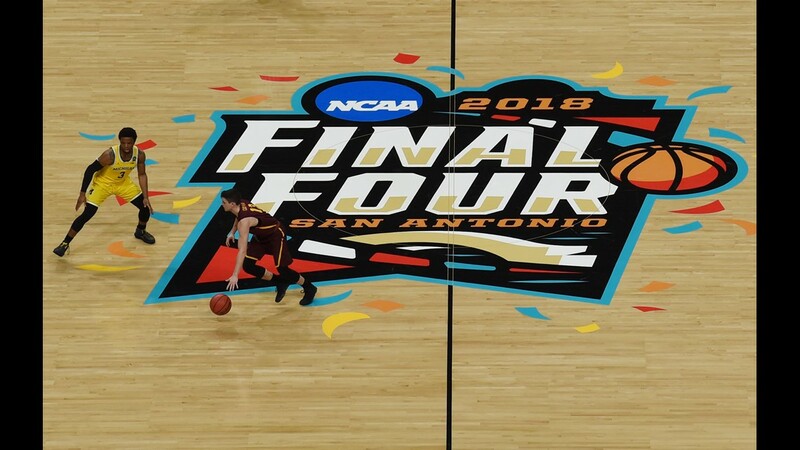 Loyola Ramblers forward Aundre Jackson (24) shoots the ball against Michigan Wolverines center Jon Teske (15) during the first half in the national semifinals of the 2018 NCAA Tournament at The Alamodome in San Antonio, Texas. 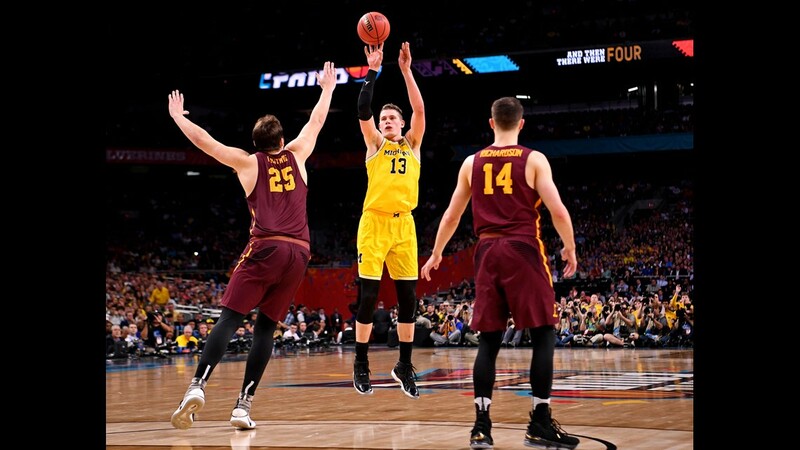 Loyola Ramblers guard Clayton Custer (13) drives as Michigan Wolverines guard Zavier Simpson (3) defends during the first half in the national semifinals of the 2018 NCAA Tournament at The Alamodome in San Antonio, Texas.